Please select which service to view more information regarding each one. Macon Occupational Medicine is accredited by the Drug & Alcohol Testing Industry Association (DATIA), which means our facility adheres to the highest possible standards to assure we protect our customers. All staff performing collections have undergone specialized training and credentialing to perform these services. Each staff member is required to pass a written exam on an annual basis to become Certified Professional Collectors (CPC). As required by DATIA, we have a Certified Professional Collector Trainer (CPCT) on staff to assure specific procedures and regulatory standards are followed at all times. All staff members are also required to undergo a 16-hour training course and pass a written exam to become a Certified Breath Alcohol Technician (BAT). We are also a member of the Council on Alcohol and Drug Abuse. Preventative services and Post Offer screenings are an important part of controlling excessive workers’ compensation costs. The American with Disabilities Act (ADA) does allow an employer to screen qualified applicants to determine their ability to perform essential job functions. Recent United States Supreme Court rulings have affirmed that employers may consider withdrawing a job offer in the individual is found to pose risk to themselves or others by performing the essential functions of the job. All physicals performed at Macon Occupational Medicine evaluate the individual’s ability to perform the essential functions of a job, while documenting pre-existing conditions that may pose a potential risk factor to the individual.Each physical that we perform can be tailored to your company’s specific job duties and requirements. Physicals can includ a physical exam performed by our physician, job specific strength and agility test, pulmonary functioning testing, pulmonary functioning testing, audiograms, vision testing, Radiologic (x-ray) evaluations, TB skin tests, vaccinations, and a variety of laboratory tests. All physicals that fall under Federal Regulatory Standars, including the Department of Transportation (DOT), are completed in accordance with the specific forms and guidelines of each statute. If you would like more information on these services and how they can be utilized in your environment, please call Susan Headley, Vice President, Operations, at (478) 751-2926. According to the State of Georgia’s Workers’ Compensation Rules and Regulations, Impairment Ratings (PPD) are only to be calculated using the Guides to the Evaluation of Permanent Impairment, American Medical Association, Fifth Edition.During our evaluation, we will concentrate specifically on the area or areas of impairment. For example, if the lumbosacral spine is the only area of impairment, then we will concentrate testing procedures to that area only. Our evaluation includes a comprehensive history and physical evaluation to the area(s) of impairment. The nature of the physical evaluation will depend on specific testing requirements based on the area(s) of impairment as described in the Guides to the Evaluation of Permanent Impairment, American Medical Association, Fifth Edition. Typically, this will consist of range of motion testing, using a goniometer and/or inclinometer, sensory testing, motor testing, and strength testing. Based on the Guides to the Evaluation of Permanent Impairment, American Medical Association, Fifth Edition, only objective and consistent data can be used to determine a percent impairment. We charge the allowable fee as noted in the State Workers’ Compensation Fee Schedule. Based on Workers’ Compensation Laws in Georgia, if Impairment Ratings are done by anyone other than the treating physician, they do require physician approval. Therefore, we do require physician authorization for us to do the impairment evaluation and will require physician approval for our recommended rating to become official. In addition to physician authorization, we ask that a specific diagnosis, with an ICD-9 code, be provided along with all of the relevant medical records prior to the evaluation. If you would like more information on Impairment Evaluations and how they can be utilized in your work setting or promoting case closure, please call Leonard Bevill, Chief Executive Officer, at (478) 751-2925. Unless otherwise directed, the status of each visit will be communicated by phone to the Company contact by the Physician or Nurse. After the phone call, the injury status form will be faxed. This form will also document the time the patient signs in and what time they sign out. Please note the Physician is always available to answer any questions or address any concerns you may have. Unless otherwise directed, the status of each visit will be faxed to the Company contact. This form will also document the time in and time out. Unless otherwise directed, if an injured employee no shows or cancels their appointment, we will send a fax to the Company contact on the day this occurs that documents this non-compliance. After five (5) business days, if the injured employee has not been seen or the visit has not been rescheduled, we will contact the Company Contact via phone to discuss the case. If an injured employee requires an outside referral, we will notify the Company contact for approval prior to making this referral and coordinate with the Insurance Carrier as well. After the referral and appointment have been made, we will follow up with the referral source and notify the Company contact of the findings. The National average for acute work related injuries is 4 physician visits and 6 rehabilitation visits. To adhere to this benchmark, we have developed a protocol to help you manage cases more efficiently and effectively. If an injured employee exceeds the 4th physician visit or 6th rehabilitation visit, the chart will be flagged for the physician to conduct an in-depth case review regarding the status. Information related to this review will be provided via our medical note and/or phone call to the Company contact. This may include but not limited to, referral for diagnostic testing, referral to outside Physician for evaluation, and/or future physician and rehabilitation visits. For any and all case management needs, please contact Kim Claxton, Case Manager, at (478) 751-2932. Comprehensive Care Models: We provide care to all patient types including ones who are acutely injured to ones who need post surgical care. We also provide comprehensive wound care. We have three different sized whirlpools available to treat from a single extremity or if needed up to the full body size. 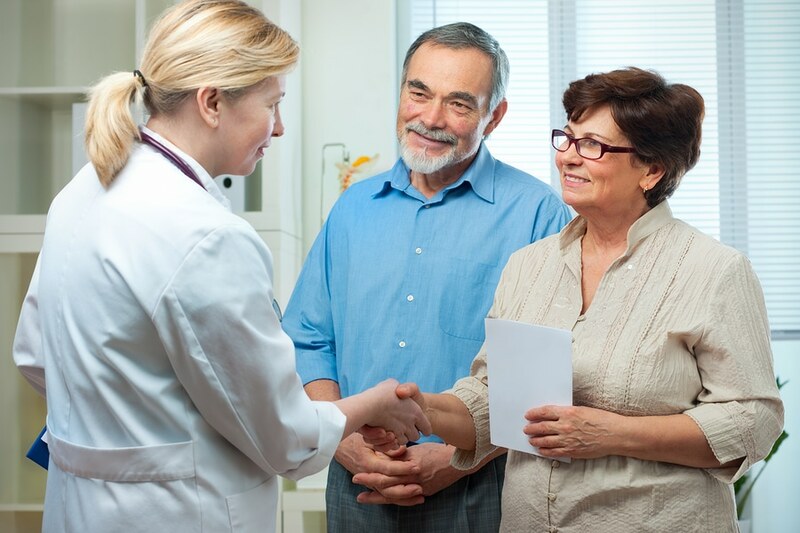 Prompt scheduling of referrals: Patients are seen within 1 to 2 business days of receiving a completed referral. This means quicker entry into rehab & faster case resolution. Typed progress notes on all patients so there is no interpretation of medical symbols or having to guess what the progress note indicates. Functional Capacity Evaluations: Provides an objective measure of a person’s work capacities, reasons for limitations, and measure of effort and possible symptom magnification. Impairment Ratings: When a patient has reached maximum medical improvement, this assessment helps to determine physical capacity and presents closure for a particular case. Work Conditioning: A bridge between therapy and return to work to condition patients for the demands of the job. If you have any further questions please feel free to contact Marlyn Jasper, Physical Therapist, at (478) 751-2929 or Cindy Nix, Physical Therapist, at (478) 751-2931. In our continuous effort to offer a “one-stop shop” for occupational medicine, Macon Occupational Medicine is in the process of introducing an Employee Wellness Program for industries in Central Georgia. The goal of this program will be to create a healthier lifestyle, workplace, and to prevent injuries. Now that Americans are working more and more, the workplace would be the ideal place to address health and wellness issues. According to the Wellness Councils of America, more than 81% of American businesses with 50 or more employees have some form of health promotion program for their employees. The most popular programs include: exercise, smoking cessation classes, back care, and stress management. Most employers offer wellness programs simply because they think the benefits outweigh the cost. Worksite health promotion stands out as a long-term answer for keeping your employees well in the first place. The results from some of Americas’ finest companies have shown numerous benefits from having a health promotion and wellness program. 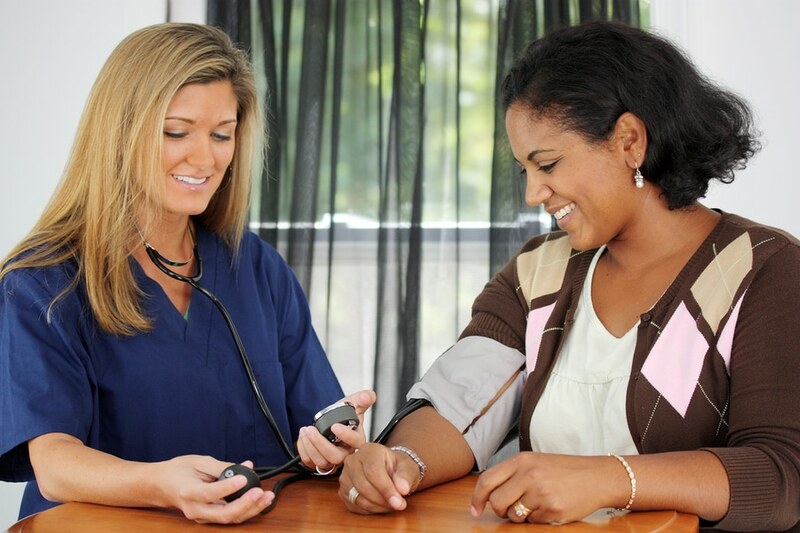 Macon Occupational Medicine is planning to offer health education seminars on exercise, smoking cessation, back care, stress management, blood pressure, diabetes, and nutrition. We would like the opportunity to discuss how this program may benefit your company. If you have any questions or need additional information, please call Jonathan Pitts, Vice President, Client Relations, at (478) 751-2930. Macon Occupational Medicine is dedicated to a comprehensive and effective approach to management of work injuries. Not only do we provide effective and immediate care of the musculoskeletal aspects of work injury, we now have increased our effectiveness in performing Functional Capacity Evaluations.Because of the rapid advancements made in the Rehabilitation field, Macon Occupational Medicine has adopted protocols for Functional Capacity Evaluations developed by Isernhagen Work Systems (IWS), which are internationally recognized for methods in reduction of work disability.A Functional Capacity Evaluation (FCE) is a comprehensive, objective test of a person’s ability to perform work-related tasks. It gives everyone involved a concise, unbiased report on the worker’s physical ability to perform work. The IWS method is musculoskeletally oriented so both abilities and limitations of an injured worker can be evaluated as they relate to physical and functional findings. Educating the worker regarding their abilities and limitations to ensure safe and productive return to work. Ensuring the employer is aware of the physical demands of the job and the worker’s physical capacity and limitations regarding return to work. Enabling the physician to have confidence in accurate functional testing that leads to a medical release for return to work, appropriate work rehabilitation, or worker/worksite modifications. Assisting the Insurance System (Carriers, TPA’s, Case Managers, Claims Administrators, Social Security Administrators, etc.) to close cases efficiently and effectively. Providing attorneys, whether for the employer or employee, with objective functional testing and abilities of the client. The IWS FCE is based on internationally accepted principles used by physical and occupational therapists for identification of abilities and limitations of an injured worker. Emphasis on return to work physical abilities explained in clear, objective language. It focuses on ABILITIES not RESTRICTIONS. The information describes the worker at the highest level of productivity based on safe use of strength and endurance evaluated by scientifically based criteria. A 13-point consistency checklist will identify if consistent-reliable performance was given. The information will allow you to place a client at the safest level of work, avoiding activities beyond their safe abilities but yet allowing the highest level of functioning possible. You may receive verbal results immediately after FCE completion if you make this known to us in advance. A conference can be scheduled within 2-7 days after the FCE to discuss results with all parties involved. Written reports will be provided within 3 business days. We look forward to your referrals for IWS FCE. We believe you will find our method to be an extremely clear-cut evaluation of a person performing work activities. We recommend that a job description be provided along with the referral or we can perform a job analysis. This will facilitate the return to work process through use of the job-matching grid. If you would like more information on Functional Capacity Evaluations and how they can be utilized in your work setting or assessing an injured worker’s ability to return to work, please call Leonard Bevill, Chief Executive Officer, at (478) 751-2925. Macon Occupational Medicine offers a variety of comprehensive safety programs to assist industries in meeting their regulatory requiremnts in the area of occupational health and safety. From preliminary walk-through plant surveys to comprehensive exposure evaluations, detailed compliance strategies are tailored to fit the individual employer’s needs. Our team of highly trained professionals include those who are certified by the American Board of Industrial Hygiene, Board Certified Safety Professionals, and Certified Ergonomic Evaluators. These professionals also include those who have previously worked for the Occupational Safety and Health Administration (OSHA). This team of highly trained professionals will identify and assess potential work hazards and develop strategies for eliminating or reducing hazard exposure. If you would like more information on these services and how they can be utilized in your environment, please call Leonard Bevill, Chief Executive Officer, at (478) 751-2900.